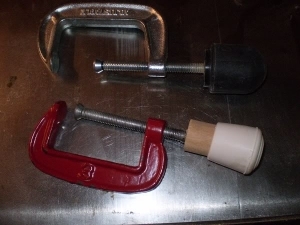 Homemade replacement for a C-clamp handle fashioned from a dowel and a rubber chair leg cover. Anything to make these easier to grip and hold. Good.